Albinos are rare and because they are rare, albino animals have often been given mythical status. Meet the albino raccoon from Coonskin Park in Charleston, WV...he's not mythical, he's real! 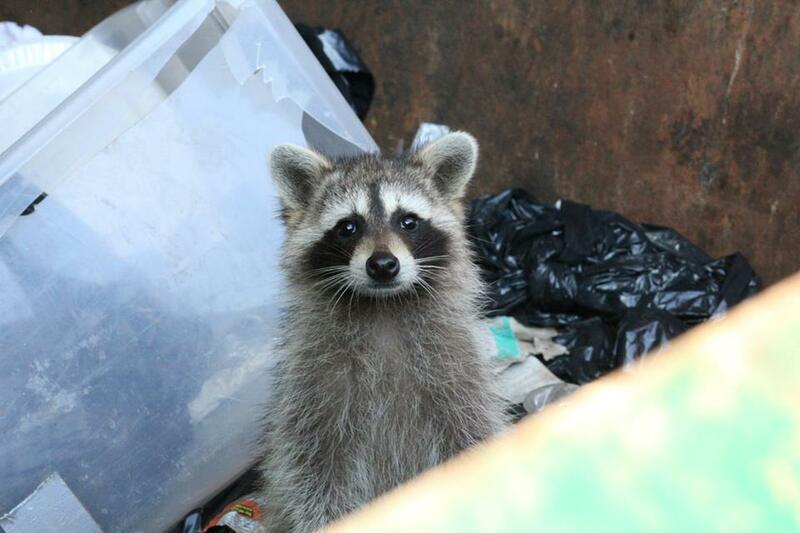 James Butler said in a post on Facebook, "Today while I was doing a routine check around the Coonskin Park maintenance area I heard what sounded like crying coming from one of the dumpsters." 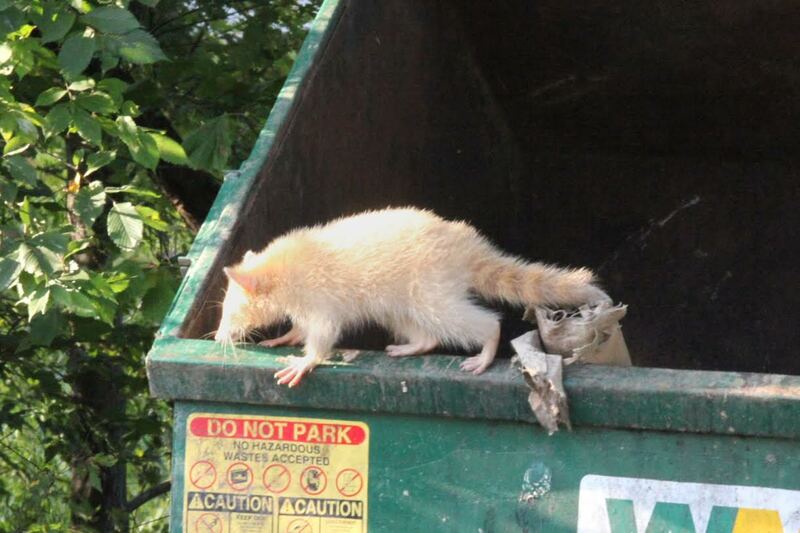 James went to the dumpster and he found 5 young raccoons, including 1 albino. The chance of seeing one of these is rare, 1 in 20,000 (.005%) animals are thought to be an albino. That includes white or pink hair and skin, pink eyes and genetically they have little chance of producing any pigment for their skin. Because they lack color, albino animals have a ghostly beauty. Many people count themselves lucky to see one. 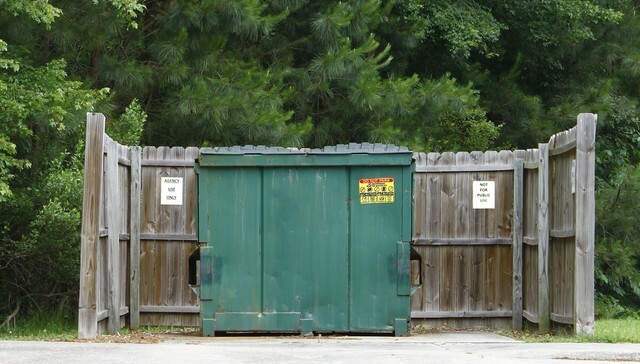 Butler went on to say, "The rescue was a simple matter of putting a board in the dumpster so they could climb out. The incident reminded me that in this day and age, for industrious and opportunistic raccoons, a dumpster is often their natural setting." 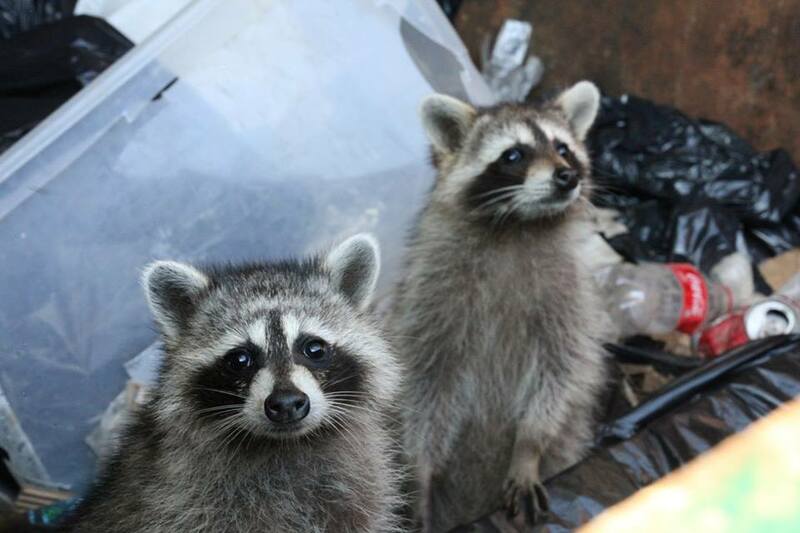 We couldn't thank James Butler enough for rescuing these cute little guys. The rare find was the extra special treat. The name raccoon is believed by some to come from the Algonquin Indian word "arckunem," meaning "hand scratcher." Most all every Native American tribe had some manner of "spirit" belief regarding albino animals. The Albino was protected by most Native American customs. Among all tribes, the Albino animal had spirit connections. The symbolic significance behind white or the quality of "whiteness" was not associated with purity as in Western culture but also wisdom and ancient knowledge of greater conceptual and spiritual magnitude. 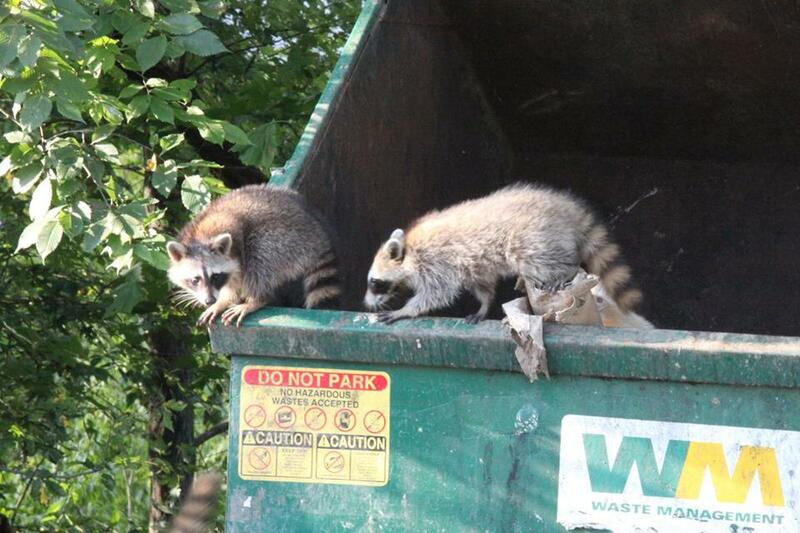 Raccoons are notorious and rather adept thieves. A curious demeanor, eager for exploration. These are common traits of the raccoon. The racoon's mask represents privacy, ambiguity, or secrecy of some type. What's being hidden and from whom? 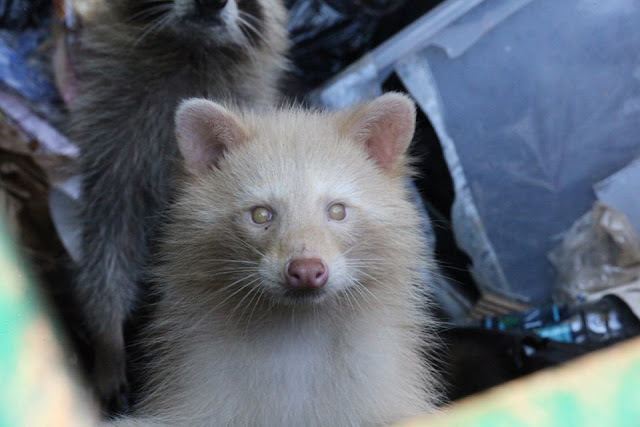 Responses to "Rare Albino: Raccoon found in Coonskin Park rescued"
would have loved to see this in person but seeing pics are just as awesome thanks for the rescue of this beautiful animal!